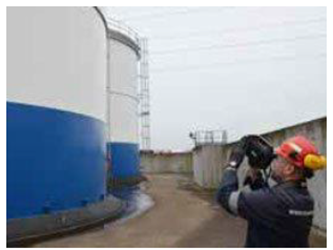 In order to meet the increasing safety and environmental regulations for tank storage companies, the Belgian tank storage specialist ADPO relies on third party inspection agencies like The Sniffers to monitor its facilities for unwanted fugitive emissions. Inspectors from The Sniffers use the latest FLIR GFs320 optical gas imaging camera to monitor assets up to nine times faster than traditional TVA probes, and without the hassle of requesting a hot work permit. Download the application note below for more information.